MINI UK has teamed up with Motor Sport Vision to offer MINI owners the chance to experience the go-kart thrills of their cars on four of the UK’s most famous circuits at evening events this summer. 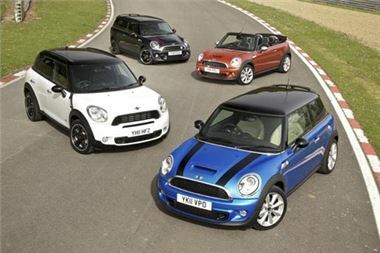 The four novice track evenings held at Brands Hatch, Snetterton, Cadwell Park and Bedford Autodrome will be offered exclusively to MINI owners at a special subsidised rate of £49 per person. This special novice track day offer is open to MINI owners who have participated in a maximum of 3 track days to ensure that all drivers are similarly experienced. After a full safety briefing MINI drivers will be given a tour of the circuit before they put the theory into practice and get out on track. Club MSV's support team of instructors and track marshals will be on hand to give advice and tips throughout the evenings. This offer is totally exclusive to MINI; there are a limited number of places available - book now to avoid disappointment. For further information or to book one of the limited spaces at this or any of the other locations go to www.clubmsv.co.uk/bmwontrack.